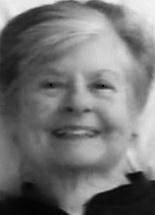 CEDAR FALLS — Joyce Elaine Alberts, 77, of Ames, formerly of Cedar Falls, died Saturday, July 13, 2013 at Bethany Manor, Story City. She was born Feb. 27, 1936, in Webster City, daughter of Ralph W. and Beulah V. Karr Grandgeorge. She married Lyle K. Alberts on July 18, 1958, in Webster City. He died Jan. 18, 2000. Mrs. Alberts graduated from Webster City High School in 1954. She earned a bachelor’s degree from Iowa State Teachers College in 1958 and a master’s degree in education from State College of Iowa (formerly Iowa State Teachers College and now University of Northern Iowa) in 1965. She taught English and reading in the Algona Community Junior High and High School from 1958 through 1960. In 1968, she was employed by the University of Northern Iowa where she was a counselor in the counseling center for 20 years and then was library assistant in the special collections and archives of the library. Survived by a daughter, Debra (Jeff) Grummer of Ames; two sons, David (Lynn) of Mountain Lakes, N.J., and Steve of Sandwich, N.H.; six grandchildren, Megan (Josiah Fitzsimmons), Matt and Molly Grummer and Michael, Emily and Patrick Alberts; and a sister, Beth (Don) Bottorff of Webster City. Services: 11 a.m. Thursday at First Presbyterian Church, Cedar Falls, with burial in Lincoln Township Cemetery, rural Grundy Center. Visitation from 5 to 7 p.m. Wednesday at Richardson Funeral Service and for an hour before services Thursday at the church. Memorials may be directed to Israel Family Hospice House, 400 South Dakota, Ames 50014.